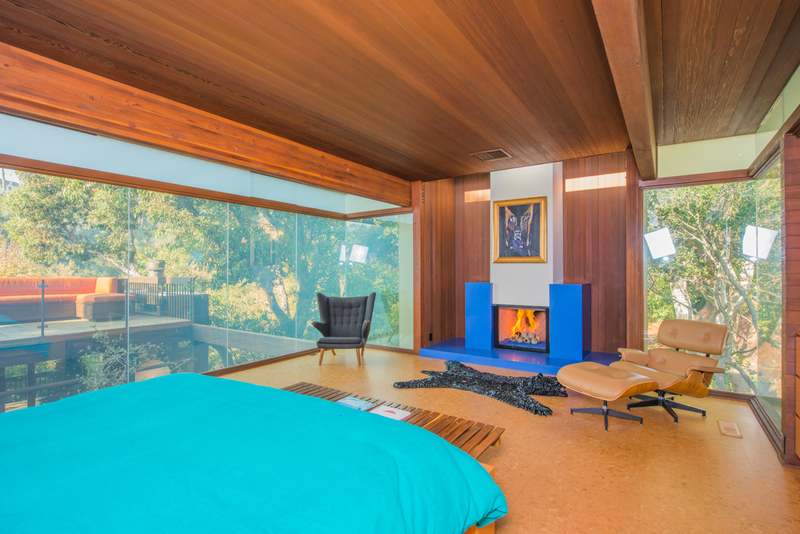 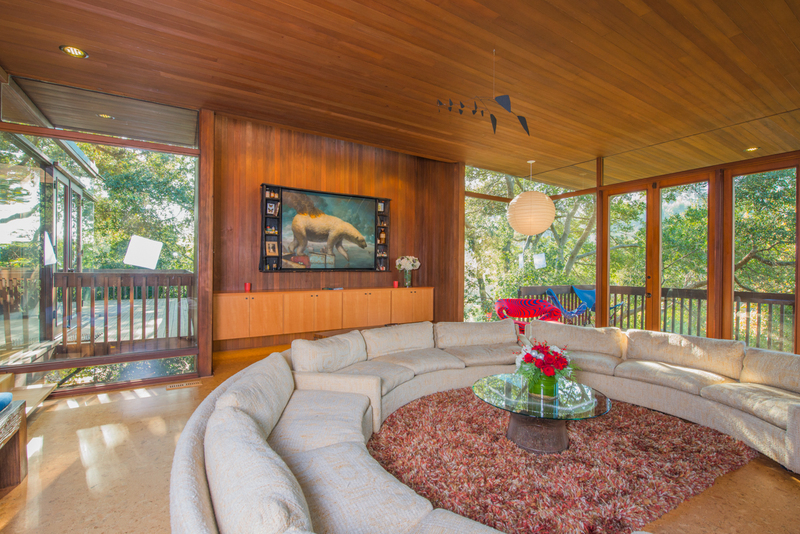 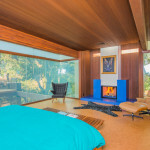 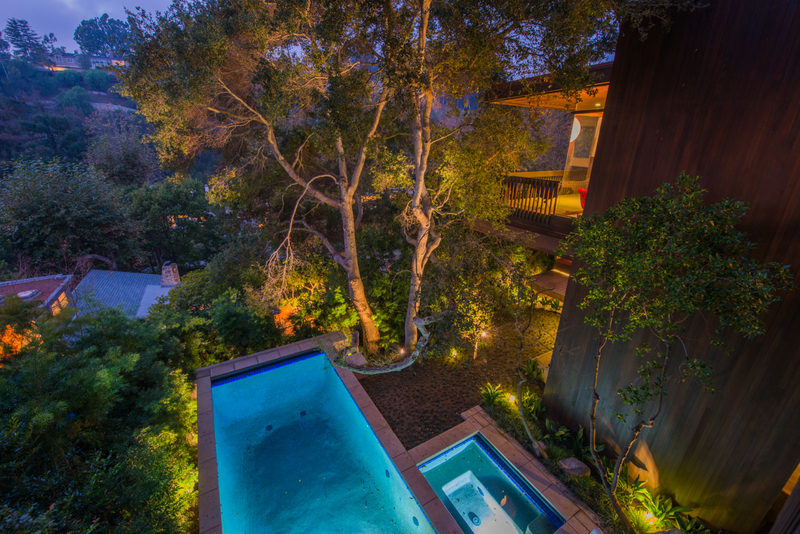 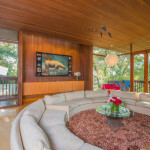 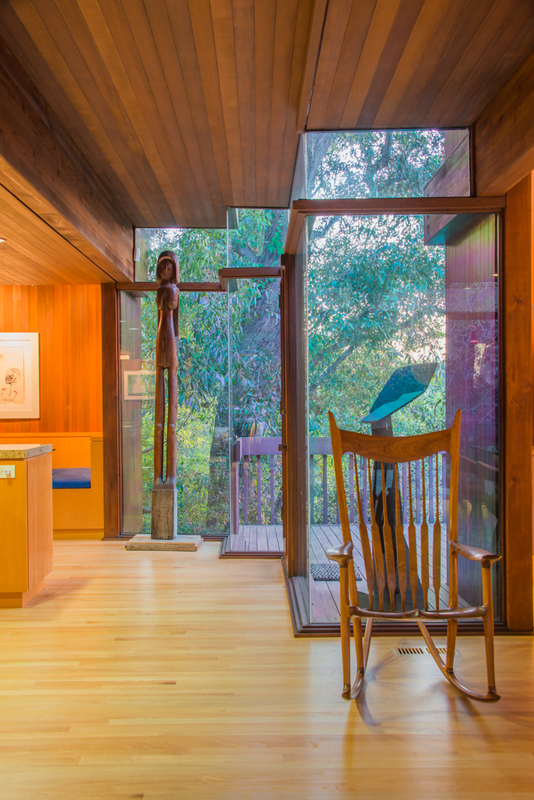 Ray Kappe’s 1970 Gertler House is situated on a densely populated lot of trees with canyon and treetop views from every angle. 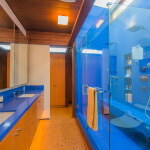 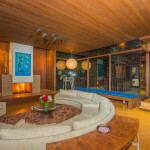 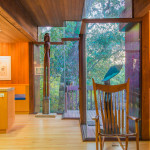 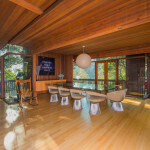 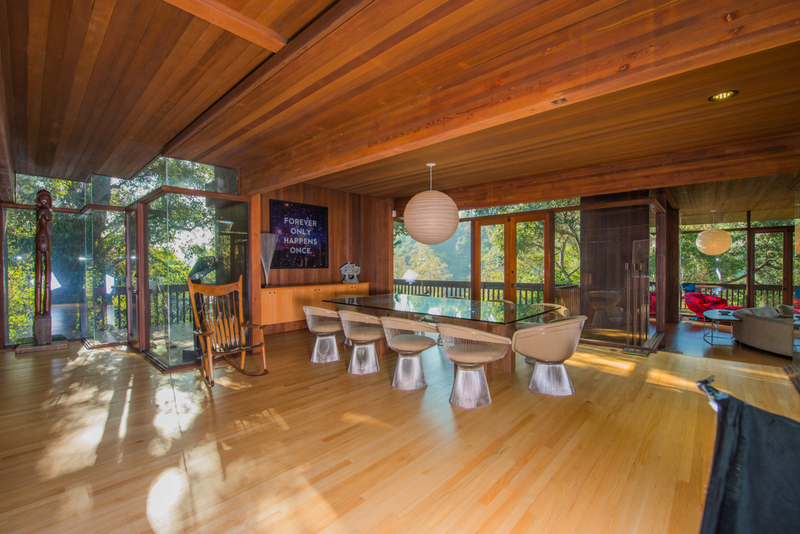 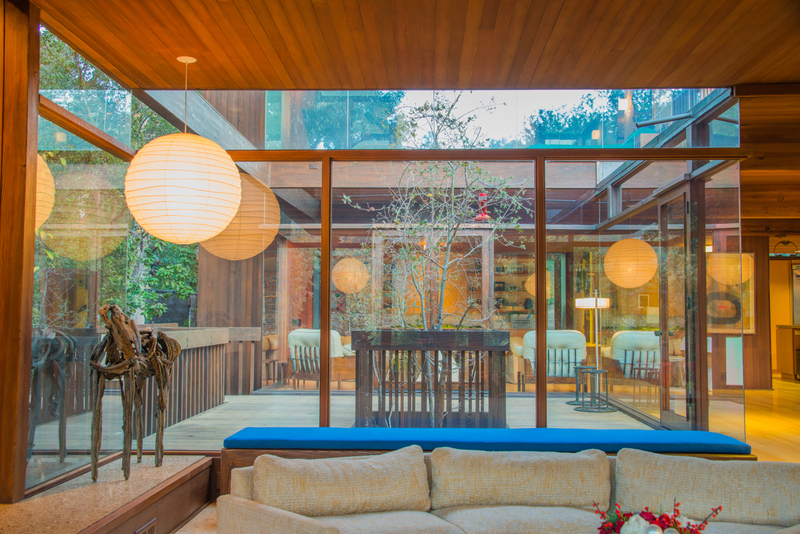 The Gertler House mimics the alcoves of trees surrounding the property by utilizing eight redwood towers as the house’s foundations and was built around a eucalyptus tree. 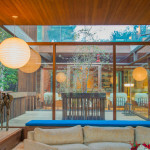 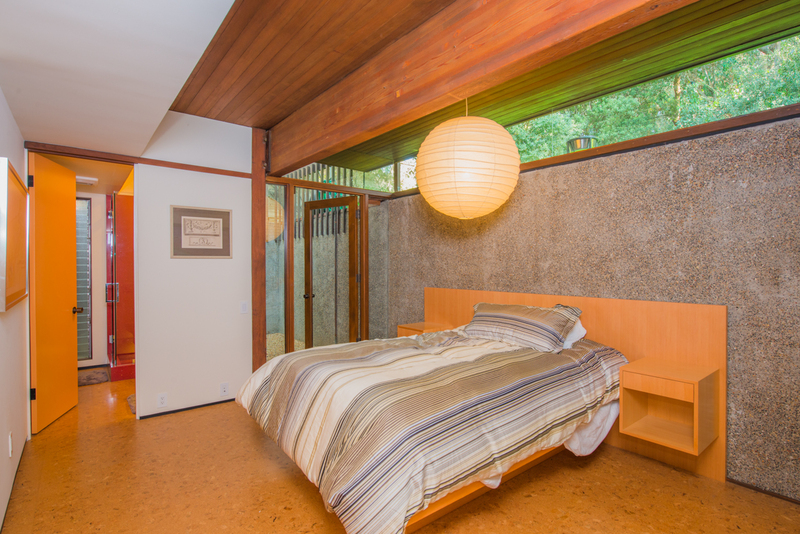 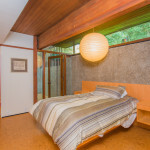 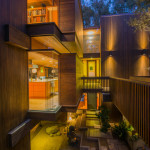 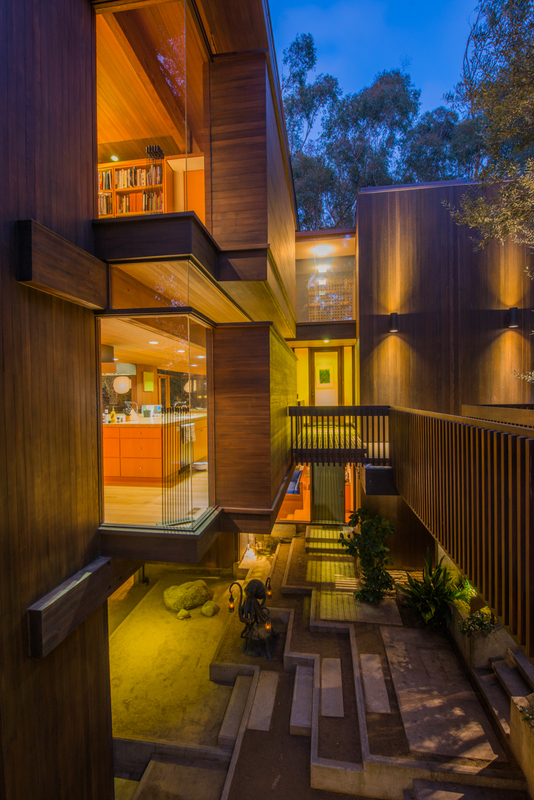 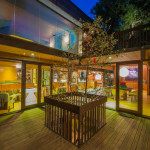 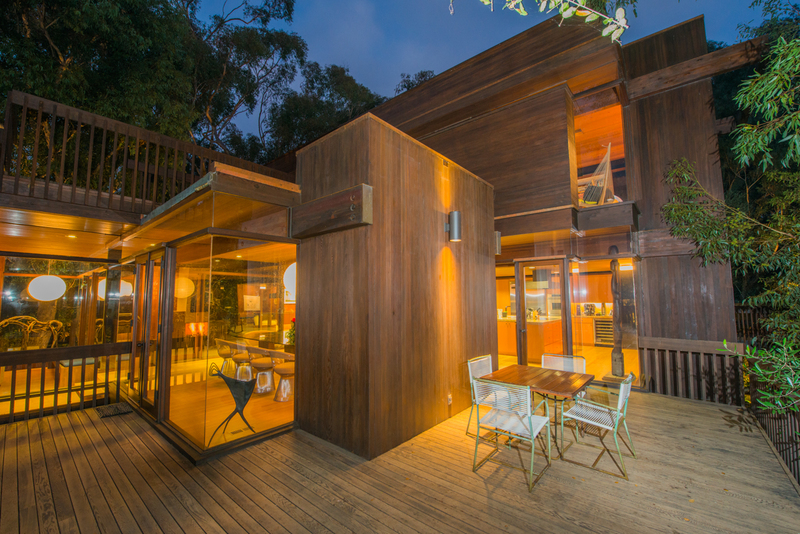 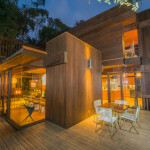 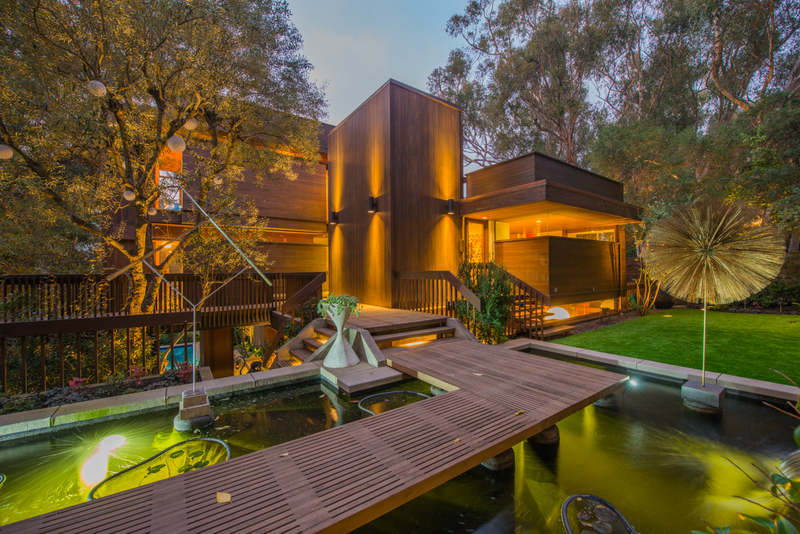 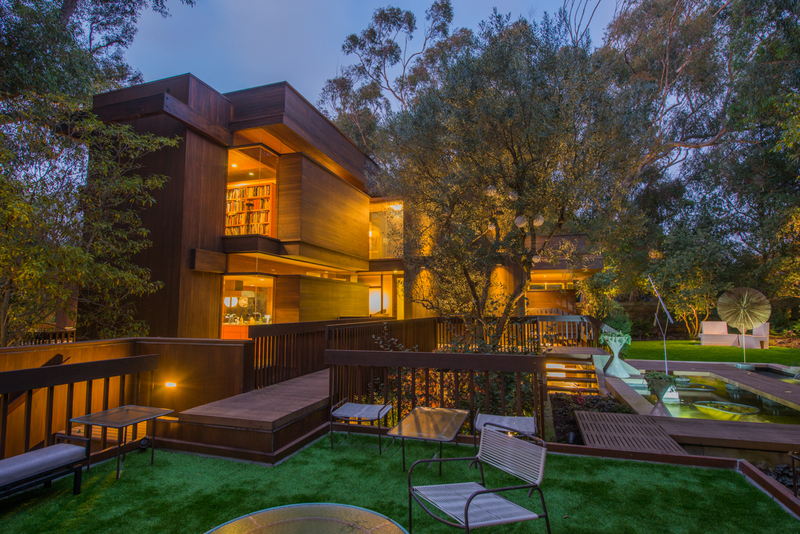 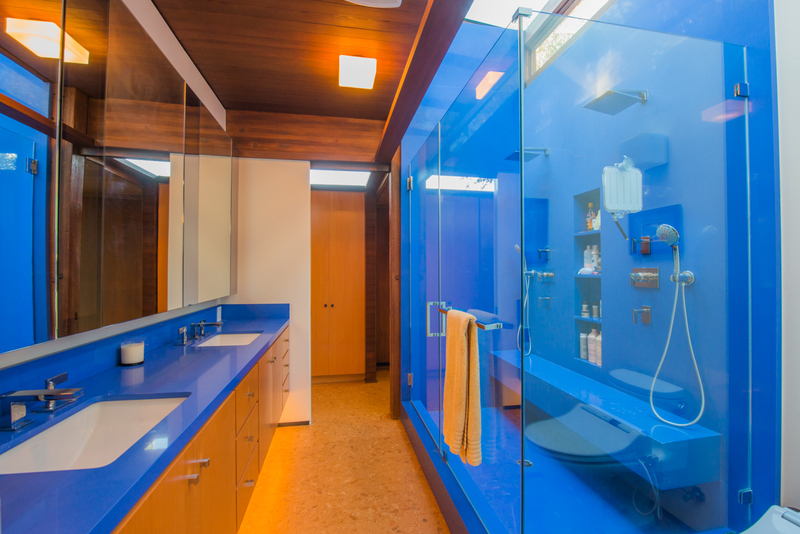 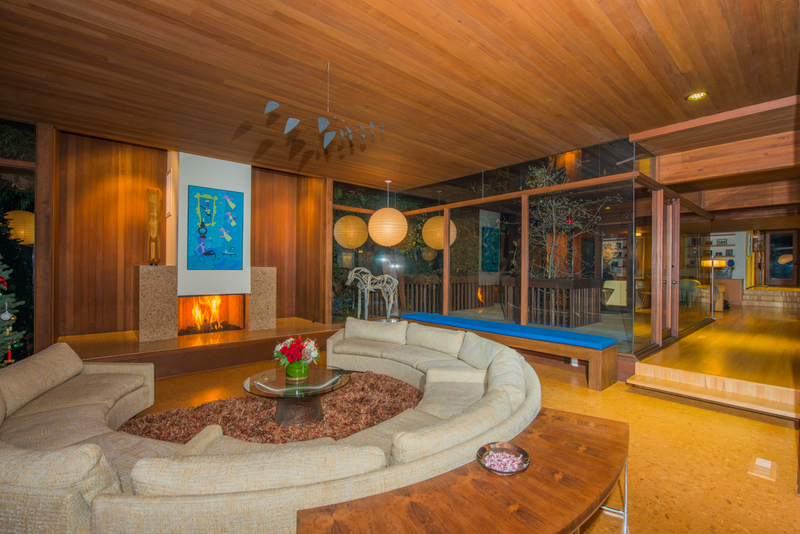 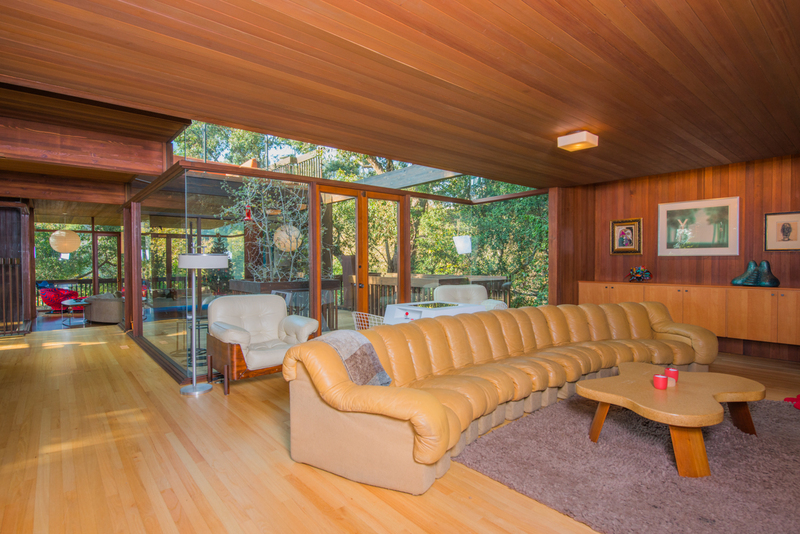 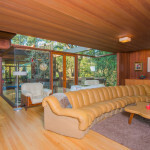 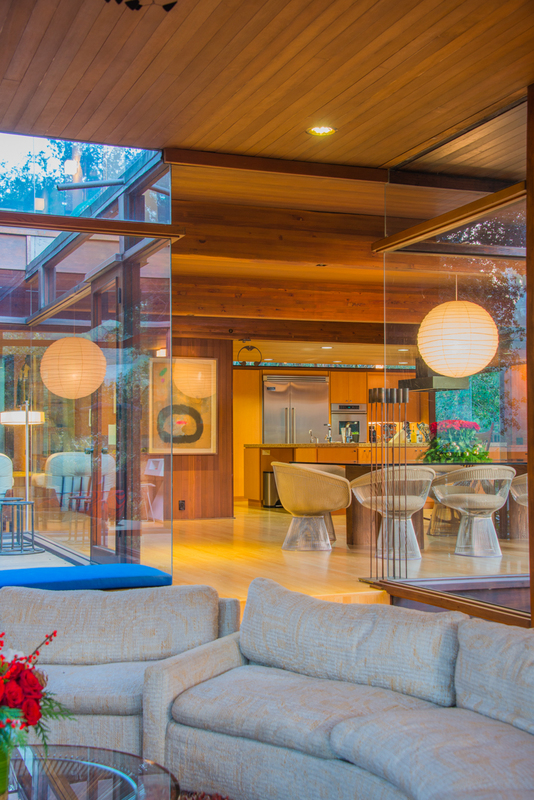 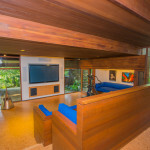 This three-story, four-bedroom, and three-bathroom house is composed of four redwood boxes with redwood and glass walls. 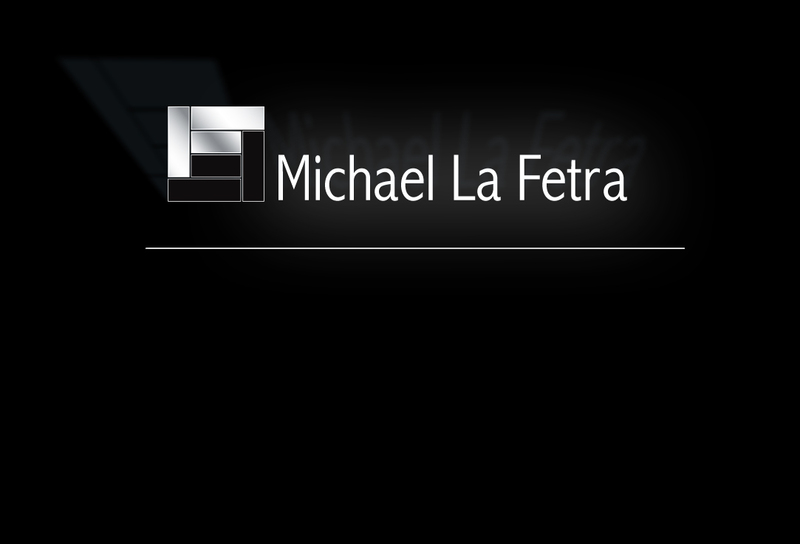 LaFetra once again utilized historic photographs, Kappe’s notes and blueprints. 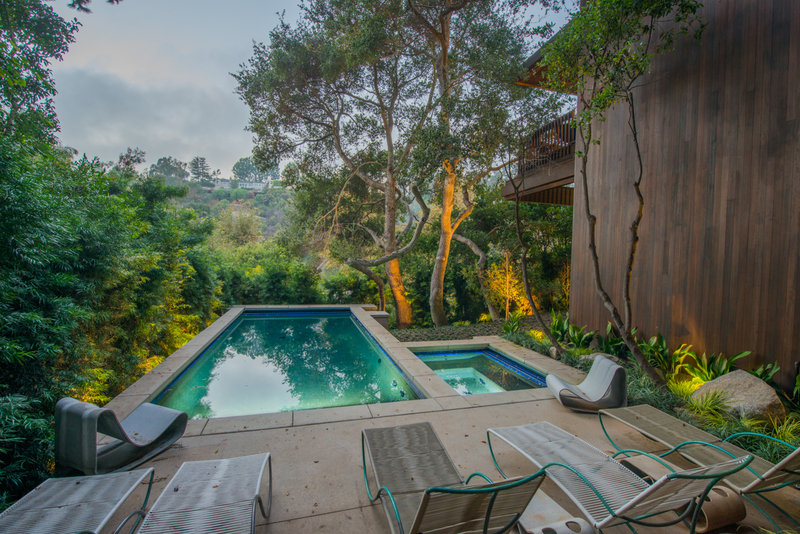 Two pool schemes were originally designed but never installed. 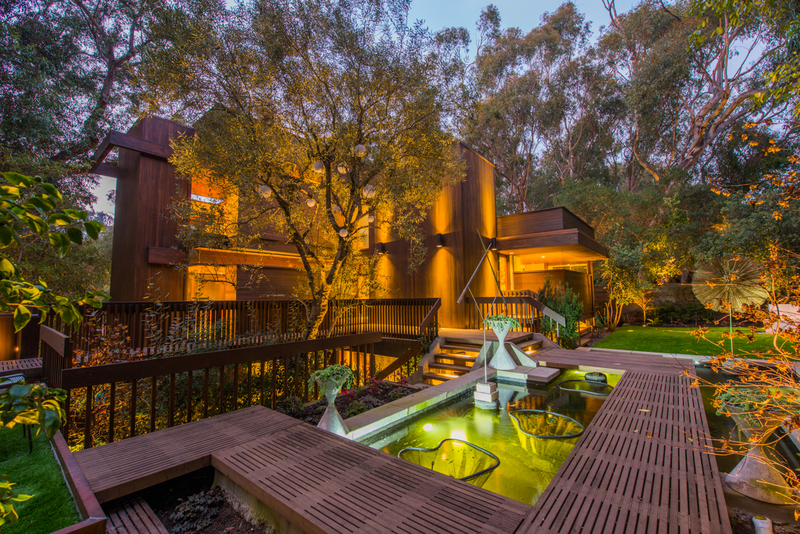 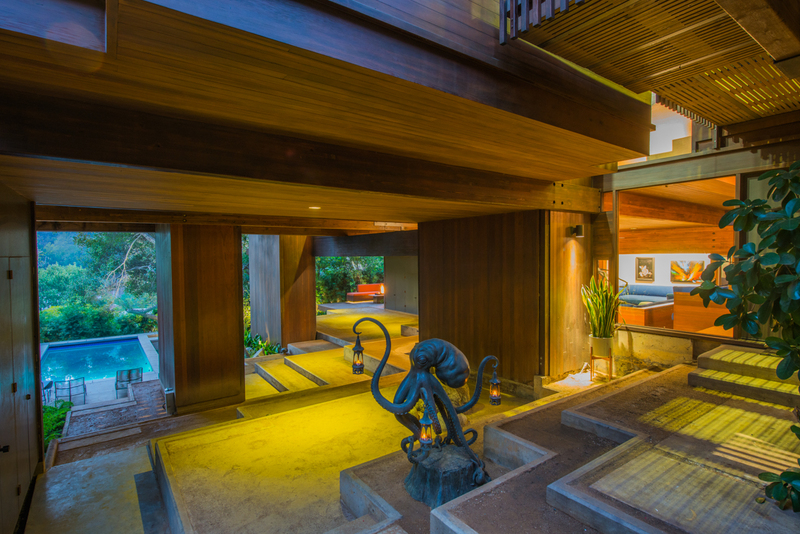 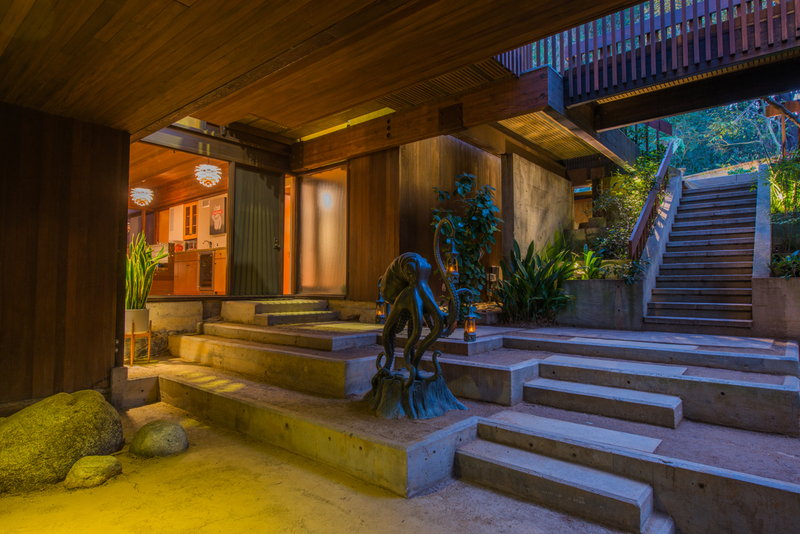 The more dramatic choice was constructed underneath the house and further balanced with the addition of a Koi Pond on the more public elevation. 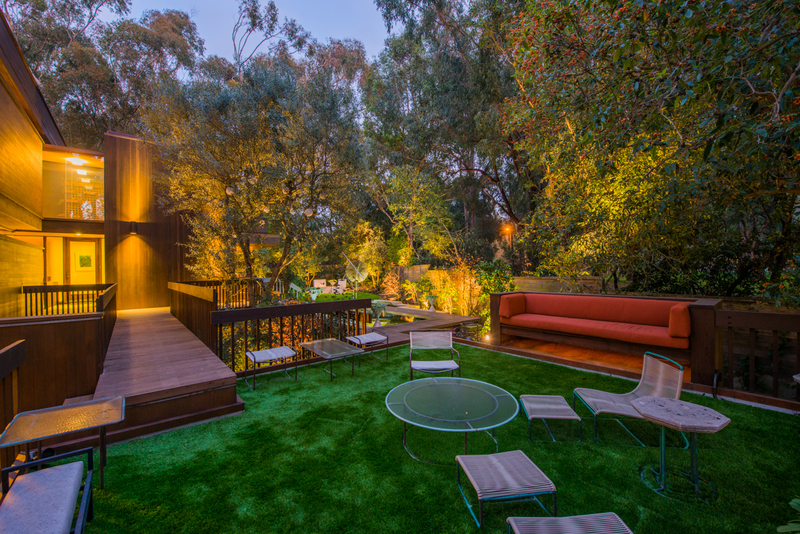 Likewise, the addition of a rooftop seating area off of the master suite is echoed through the creation of an identical seating area below, centered on an outdoor fire pit. 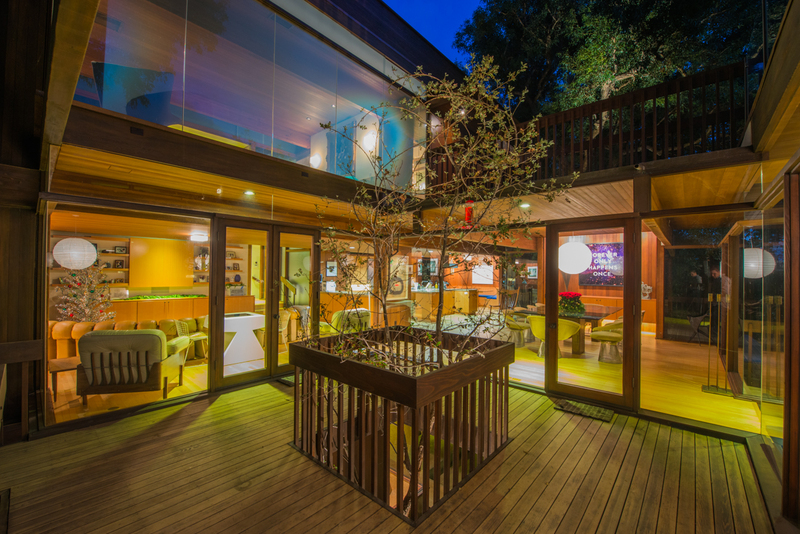 To retain efficient use of energy, Michael outfitted the house with solar panels and landscaped the house with native vegetation and installed a native oak tree to replace the long since removed eucalyptus tree that the house was built around. 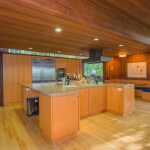 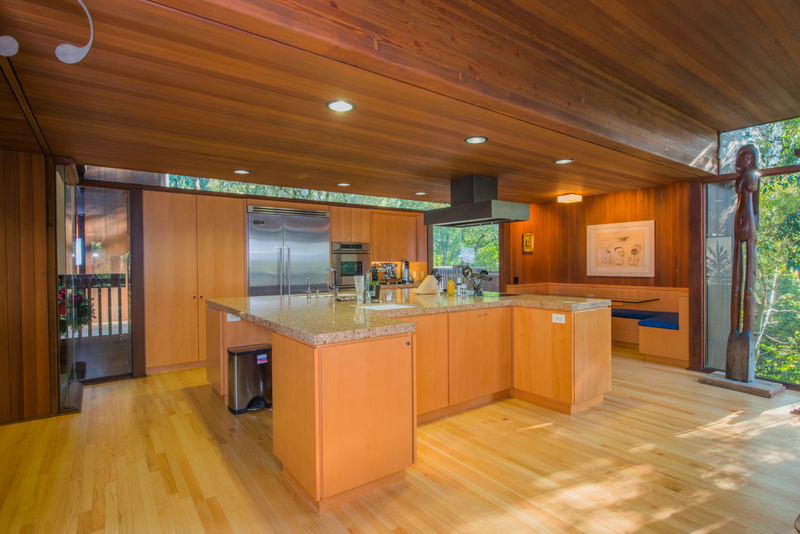 The kitchen and bathrooms were all updated with modern appliances and custom made cabinetry. 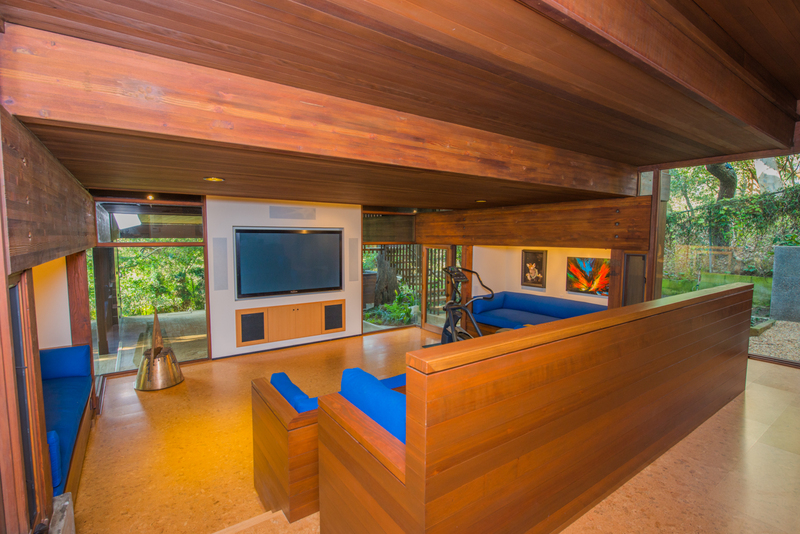 Michael also designed a sympathetic media room with custom built seating, and reworked a closet that was in the media room into a customized liquor storage room.